Fig. 2. The location and distribution of all the accelerated orthologs and positively selected genes across the chromosomes of sesame. 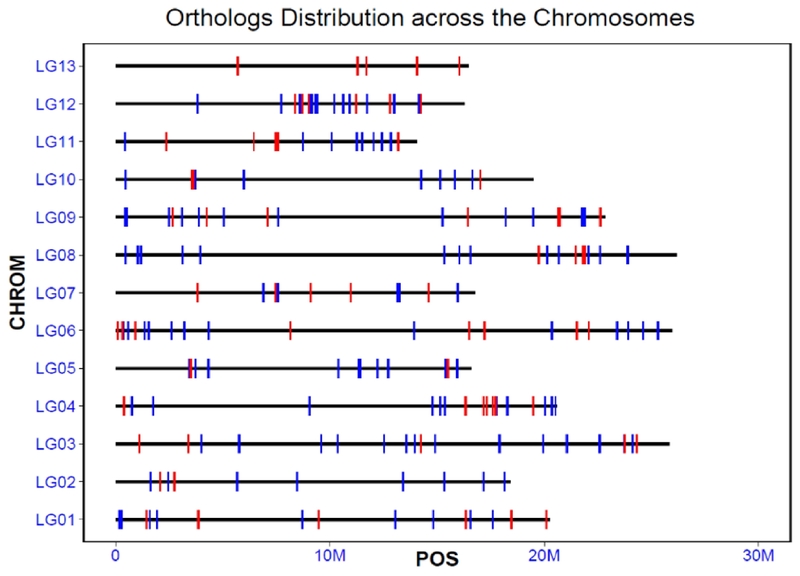 Each red or blue vertical bar represented one orthologs, and the red indicated the positively selected ones, and the blue indicated the other orthologs. LG01-LG13 represents the chromosomes, and the bold horizontal line indicates the length of each chromosome.